All week we’ve been examining a congratulatory waking dream. Originally, the dream seemed to be about giving lectures on spiritual topics. But as the dream was retold in its metaphoric version, the themes seemed to have less to do with giving talks and more to do with changes going on inside of the dreamer’s own psyche. The dreamer is an individual accustomed to working with dreams, so it took little prompting to have him discuss his dream experience and its metaphoric message. No question about it! The operative word here is “change.” It’s not only the outer change of my wife and me looking for a new home, but that, in itself, is symbolic of the change that is trying to take place inside of me—and I would suspect, inside of her as well. I think, sometimes, we get caught in a routine, and it starts dictating our priorities of activities, and even our thoughts. To use one of your many metaphors, David, it’s when the tail starts wagging the dog. In my case, I think the tail had been wagging the dog for some time. Part of the issue is that my routine had to do with spiritual matters in my own life. Those matters are, after all, what I find most compelling as I negotiate my way here on Planet Earth. So the fact that I was successfully teaching spiritual principles to other people, made my activity and my classes seem all that much more vital and important. The fact is, Spirit doesn’t care what you do as long as you are alive and active in your own growth. The minute you stop your own forward motion, Spirit helps you reassess your role, and it goes out of its way to compel you to change what you’re doing. For me—and I think for lots of others as well—Spirit just makes you so uncomfortable in your current activity that you feel you need some kind of change. I think the hints it gives start long before we dull-headed individuals really notice them. I suspect they begin as gentle nudges, and when those friendly prompts don’t do any good, Spirit ups the ante, and the hints become less pleasant and less friendly. That was for sure my situation this time around. 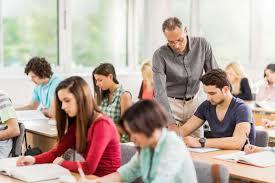 I was teaching classes, and at first, I was getting a tremendous amount out of the experience. But then it became more of a routine, and it finally died out. So to have the experience of suddenly being put center stage in this fashion so that I could, once again, give a talk to a crowd of interested listeners, seemed like me being back on the right track. But I think the key is the end of the dream retold as metaphor. It’s where it says that I was given the opportunity to tell myself what I already know, namely, that I need to pursue “the new place to live” inside myself. The best part, though, is that the dream was pleasant; the message was fun to receive. That’s not usually the case, so I must have done something right to deserve it.